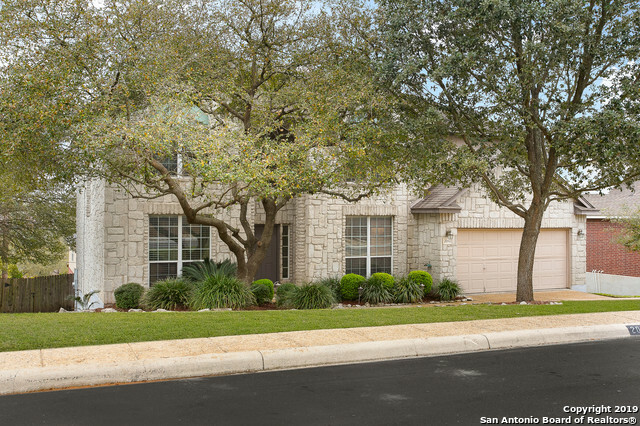 All BREEZES AT SONTERRA homes currently listed for sale in San Antonio as of 04/24/2019 are shown below. You can change the search criteria at any time by pressing the 'Change Search' button below. "Exceptional Stone Oak beauty! This immaculate home in the small gated community of Breezes at Sonterra is a must see. Easy access to 1604 and the best shopping and dining in Stone Oak. Open floor plan with 4BR & 3 baths. Guest bedroom downstairs with a full bath. Formal living or office/study up front. Formal dining, large living room open to breakfast and kitchen area. Upstairs Master BR has 2 closets and a full bath. 2 spacious secondary bedrooms also upstairs. Acclaimed NEISD Schools. A must "
"This AMAZING single story with upstairs game room has it all from start to finish! This flexible floor plan can offer up to 5 bedrooms! The downstairs study and upstairs game room both have closets. Fresh carpet, paint, hardware, upgraded master closet and more....Move in ready and walking distance from Stone Oak Elementary school, shops and restaurants in the heart of Stone Oak. Comfy covered patio to sit back relax and enjoy your favorite beverage. This one is a must see today. YES!"